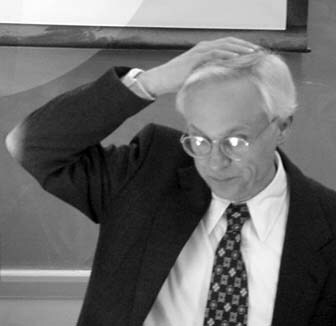 Daniel Quillen (1940–2011) obtained his PhD under the supervision of Raoul Bott at Harvard in 1961. He worked at MIT before moving to Oxford in 1984 as Waynflete Professor of Pure Mathematics. He was awarded a Fields Medal in 1978 for his work on algebraic K-theory, but his contributions to mathematics were over a very much broader range, as is eloquently described in the AMS memorial article. During his long mathematical career, Quillen kept a set of detailed notes which give a day-to-day record of his mathematical research. At the beginning of his career he had many mathematical ideas tumbling simultaneously in his mind and in order to tame the 'disorder’ and slow himself down, he found it productive to write up the main thoughts carefully. This resulted in a substantial 'diary’ which should prove a valuable resource to mathematicians working in any of the areas considered by Quillen, and to graduate students learning the craft of mathematical research. They show how he tackled problems, often reworking the ideas of other researchers as he sought a way into a problem or sought new productive areas for research. Looking more broadly, they might also be of interest to historians of mathematics or anyone interested in the process of mathematical creativity. In 2013, the CMI began a project to catalogue and digitise the notebooks, and to make them available to the mathematical community. The links below are to folders containing scanned images of the notebooks. Glenys Luke and Graeme Segal are working on the huge task of cataloguing the entire set: links for the years they have completed are given on the right. This is very much work in progress, but it is hoped that what has been done to date will still be useful and interesting even in this preliminary form. Quillen gave a number of courses at Oxford on K-theory and cyclic (co)homology. Gordon Blower took notes from Quillen's lectures while he was a graduate student and then a junior research fellow. The notes can be seen by following the links from Blower's summary document.